My name is Sara , I am 28 and I have recently completed a BA in Comparative literatures and cultures at the University of Naples “L’Orientale”; I am keen to enter the world of import-export. I enclose a copy of my resume for your consideration. I’ve Always had very good feedbacks from my students; they have passed all their exams and have learned english/Spanish and Chinese from my lessons. I have also though italian to foreign students and they have used these knowledges to find work or to study in Italy. they have been very happy of my lessons and they told me I am a very good teacher so this have made me feel very proud of them. I would welcome the opportunity to use the knowledge and experience I have gained from my formal studies and through my responsibilities for you. My work experience, over the past few years in some schools and private associations has reaffirmed my interest in this field of work and helped me to develop an ability to communicate foreign languages knowledge with enthusiasm. During the last five years at university I have planned and managed my time to achieve a good balance between my studies and maintaining other interests. I have always tried to study and to work to improve my skills; I have also worked with Caserta’s chamber of commerce as Italian-english translator. I am available for interview at any time in the coming weeks, and am available for work as soon as possibile. 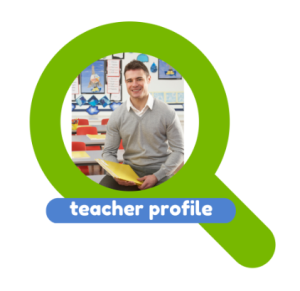 During the present year I have worked as a supply teacher in a French-Spanish school in Tenerife (Spain) with students aged 5-18 and as a supply teacher of Spanish in a language academy for adults. I have also participated in a research project in Applied Linguistics for the last four years while completing my PhD. I have finished a six-month postgraduate course in teaching Spanish as a foreign language via the UNED (National Distance Education University, Spain), which has helped me to deepen my theoretical and practical knowledge of the process of teaching and learning a foreign language. I have vast experience as a private teacher. Since 2008 I have tutored students of different ages and levels, teaching them Spanish, English or through homework help. One of my greatest strengths is organisation and attention to detail. I am passionate about teaching and languages in general, and I firmly believe that there is always something that would motivate students to learn a new language and, precisely, guiding them through the process so they can, at least, attempt to discover how a language might help them in the future, is one of my main goals. Regarding my teaching style, I think I try to be flexible and adapt myself to the students’ age, level, needs and preferences. Lessons are then prepared depending on these necessities. I like to combine different types of exercises and skills, and to use authentic materials which provide language in real contexts, including music, films, books, magazines and games. I believe that language cannot be acquired in isolation. It must definitely be taught as part of a culture, so intercultural skills must be emphasized and acquired through the lessons as well. In my opinion, a great teacher should be not only an expert in the area he teaches, but someone who knows how to transmit his knowledge and make it relevant to the students. Passion and patience are therefore key attributes for a good teacher. I believe that the students’ motivation is, to a large extent, due to the teacher’s abilities and attitudes in the classroom. Moreover, the type of activities, materials and lessons must be tailored to the needs, ages and levels of the students, combining different kinds of knowledge, such as lexical, grammatical, pragmatic or cultural. Thus, language should be taught as part of a culture, providing suitable contexts for the students to acquire it and understand it better.